GMD’s Hamish Muir contributes to the Weingart exhibition. 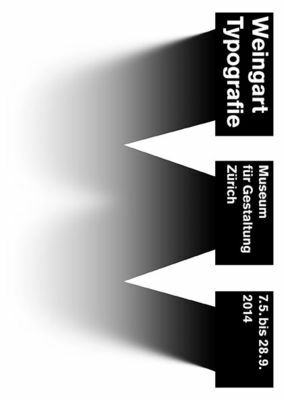 GMD Senior Lecturer Hamish Muir, Co-founder of MuirMcNeil and of 8vo London and Barbara Junod took place in a discussion around Wolfgand Weingart poster exhibition at the Museum für Gestaltung Zürich on Wednesday, 25 June 2014. The discussion was entitled ‘The Process as Illumination’. Hamish was a student of Weingart at the Basel School of Design. For more about the event please see the link below. 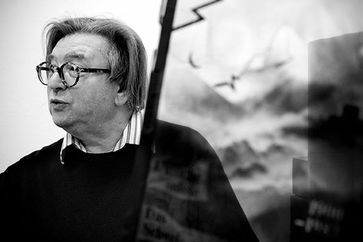 Wolfgang Weingart is regarded as the “enfant terrible” of modern Swiss typography. At an early stage he broke with the established rules: He freed letters from the shackles of the design grid, spaced, underlined or reshaped them and reorganized type-setting. Later he mounted halftone films to form collages, anticipating the digital sampling of the post-modern “New Wave”. As a typography teacher at the Basel School of Design. Weingart shaped several generations of designers from 1968 onwards. They came from throughout the world and helped him achieve international recognition. 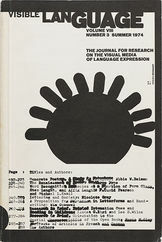 Weingart’s experimental design approach and the connection between analog and digital techniques that he called for are topical again today. His life’s work is shown for the first time in Switzerland and juxtaposed with works produced through his teaching activity. July 10, 2014 in GMD General.